That tree in your yard taking up too much space or causing you problems? The solution seems simple enough- just get it removed. Cutting down a tree should not be very complicated, right? Well, it’s possible for anyone with a saw to hack down a tree, but proper tree removal requires much more expertise and attention to detail. A professional needs to cut down the tree in a safe manner so that surrounding structures are not damaged. Proper debris removal and stump removal, if needed, also need to be taken care of. Improper tree removal can cause you many problems later on. So you may have a lot of questions regarding tree removal considering that it is not a simple process. Here are 5 common questions and their answers. Who should cut my tree? The best idea is to leave this job for professionals. 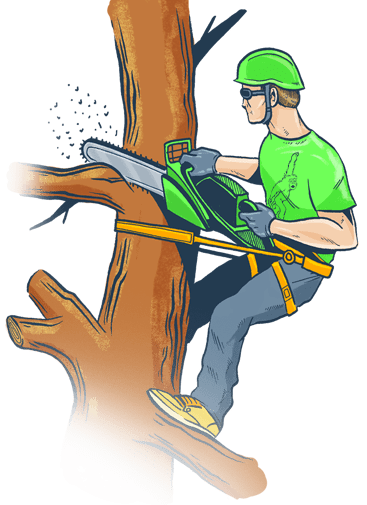 Find a reputable tree removal company in your local area, and have them cut down the tree. In Florida, Advance Tree Pros is the leading tree service company that can do this for you. At Advance Tree Pros, we have experienced professionals who have cut down trees under the most difficult circumstances. Just let us know how we can help you and we would be happy to provide you with our fast, reliable tree cutting service. What steps will be taken to ensure safe tree removal? Using the right equipment and the correct steps is important for safe tree removal. If you have any special concerns such as power lines nearby, you may want to contact your electric utility company beforehand, so they can help you or advise you on the best course of action. You may also want to find out if your city requires you to get a permit to cut down a tree. 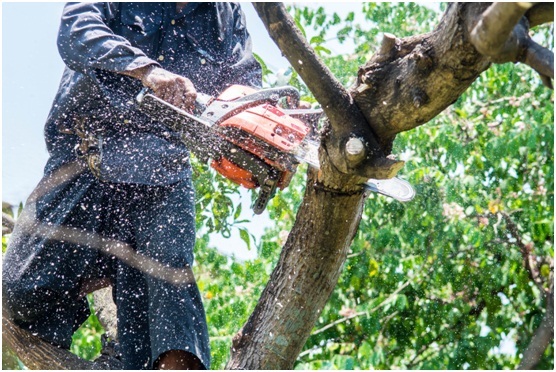 Other than this, hiring a reputable company that carries insurance, has the right equipment, uses hardhats and other personal protective equipment while on your property, and has experienced professionals on its team, will ensure that your tree is removed safely. Tree cutting prices can vary from region to region. Cost also depends on the size of the tree and the complexity of the job. Uprooting a tree completely can cost more versus cutting it and leaving the stump. It may be a good idea to get several estimates from local companies to figure out the price range. 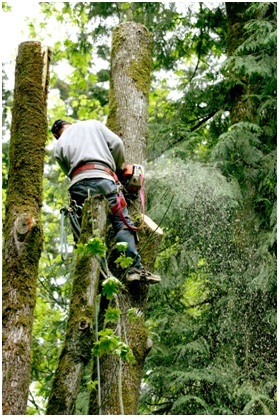 Sometimes you may find a company offering a rate much lower than other tree removal companies. While this may seem good, make sure to ask questions about how that company is going to cut the tree, whether their team is experienced, what equipment they will use, and other important details. Be aware that sometimes companies offering lower rates end up providing poor quality work that will cause problems for you down the road. How long will it take to remove the tree? This again depends on the tree size and complexity involved. Any company that guarantees you a speedy removal without understanding the work, is not the right company to hire. It is good to get an estimate though. What about stump and debris removal? All debris from cutting down the tree should be removed completely from your property by the tree removal company you hire. As the premier Winter Park tree service company, and with a commitment to staying green, we mulch all the debris so it gets recycled and does not end up in landfills. As for the stump, there are good reasons to remove the entire stump- aesthetics, you do not want to continuously have to mow around it, prevent termites, you do not want the stump to sprout into a new tree, and you may want to use the space to plant something different or use it in another way. It is important to have this information as well as answers to any other questions you may have, prior to hiring a tree service company and getting a tree removed. While it is the responsibility of the company to provide good service for you, on your part you need to make sure that you are hiring the right professionals. That tree in your yard taking up too much space or causing you problems? The solution seems simple enough- just get it removed. Cutting down a tree should not be very complicated, right?